A union representative at Reau Prison, Martial Delabroye, told BFM television that two men dressed in black, wearing balaclavas and police armbands entered in the prison to look for Faid. The 46-year-old Faid was serving time for the 2010 death of a young police officer killed during a botched robbery. According to reports, three accomplices, armed with Kalashnikovs, showed up at the prison entrance demanding Faid's release. PARIS - A notorious French criminal serving 25 years for murder used a helicopter Sunday to escape from a prison south of Paris, igniting a huge manhunt around the French capital. The helicopter then flew to the nearby Bourget area. Belloubet said Faid was in a room visiting with his brother, Brahim, when the commandos burst in, grabbed Faid and hustled him to the waiting whirlybird. The 46-year-old is believed to have fled in a auto with the armed accomplices. Faid's brother has been taken into custody for questioning. He spent years as an global fugitive before his capture, and then a decade in prison, and then wrote an autobiography after his release on parole in 2009. 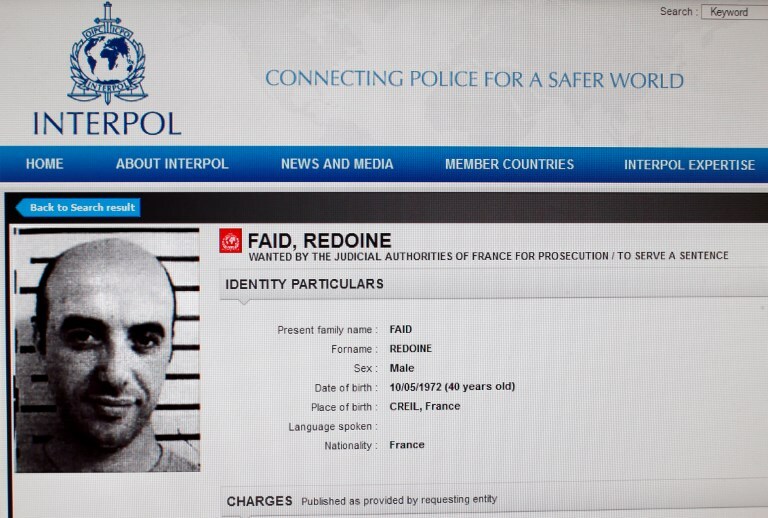 Faid has a violent criminal record dating to at least the 1990s, when he organized the robberies of banks, shops and armored vehicles. Faïd said he was inspired by American films such as Scarface and Heat. Faid is not the first prisoner to escape in a helicopter. Still, he was the suspected mastermind of an attempted armed robbery in 2010 that led to a high-speed chase and a shootout with police in which 26-year-old policewoman Aurelie Fouquet was killed.